This is my first experience reading a story written by Rena Koontz and it will not be my last. The story engaged me from the first paragraph and from that moment, I had difficulty putting it down. The impeccable writing, complex and character driven plot had me devouring the story at each page turn, as I was eager to discover how the events would unfold. As a fan of romantic suspense, I am always on the lookout for stories from the genre. What I enjoy about these stories is the author's ability to balance the romance and suspense. Rena Koontz accomplished that balance in this book. The romance and suspense did not overshadow each other; instead, they both enhanced and made the story come alive. Although the twists and turns that one would expect with this genre were not present, the suspense and drama coupled with the author's clear and concise writing more than made up for it. The story follows patrolman Trish Kleery and gym owner/instructor Bryan Dejwel. These two are as different as night and day, but that made them perfect for each other. Trish believes in doing everything by the book. For her it is black or white, no colouring outside the lines permitted. However, her beliefs came under testing when she became emotionally involved with Bryan. Bryan knows what it means to make mistakes. After spending time in jail for a crime he did not commit, he is determined not to repeat his mistakes. He turned his life around and he now owns his own business where he has staked a reputation for himself in the fitness world. In addition, his personal life heats when he and Trish became involved, however, someone is determined to destroy his reputation and his budding relationship with Trish. Now he finds himself in a fight to prove his innocence. Will Trish follow her heart and stand by her man or will she go by the book and destroy her newfound happiness? The romance did not run smooth between these two as expected, given the circumstances. Her tendency to see things as black and white placed a strain on their romance. Trish, despite being a good cop, struggled with self-esteem issues when it came to her personal life. She has difficulty separating her personal life from her professional life, which has tested not only her relationship with Bryan but also with her best friend Kandee. As the story progressed, she evolved and showed that she could put the woman before the cop when necessary. She came to realise she can be both without compromising one for the other. There were two stories taking place, which at first seem to be unconnected. However, as it progressed, the connection became clear. At first figuring out the killer's identity was not so easy, but as events unfold, I had a suspect who fit the profile well. My early identification of the villain did not affect my enjoyment of the story. I was on the edge of my seat as I tried figuring out what his next move would be. Getting a glimpse into the killer's mind was a scary experience, especially when his actions supported his thoughts. This story had a lot going on. I am unable to go into details as it may lead to divulging the plot. 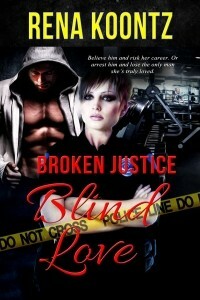 As such if you love romance and suspense then I recommend you read this book. Well written with developed characters and an engaging story that will keep you entertained to the end.